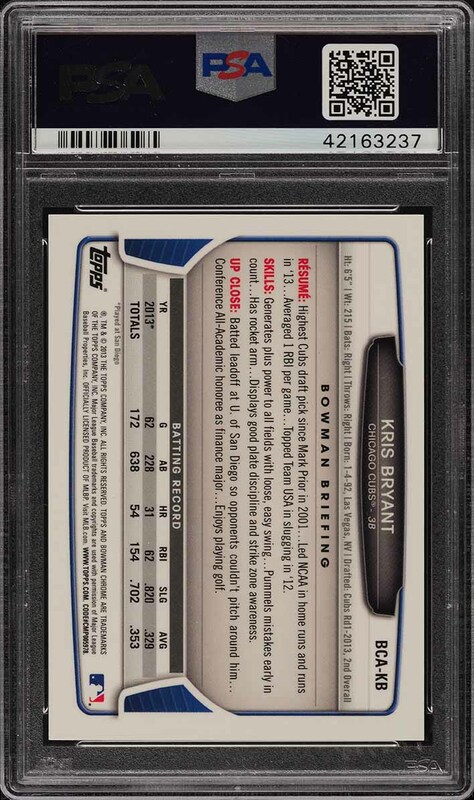 Among the premier Bryant rookie cards in the market. 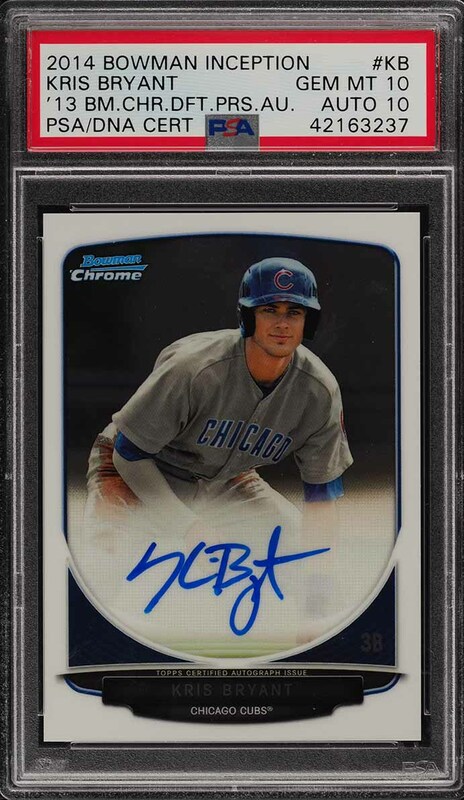 The offered Bowman Chrome example is particularly special as it boasts a dual PSA 10 assessment and is one of only ten to have earned the elite designation. A recently graded stunner which possesses stark white borders with smooth edges and glimmering surfaces. Perfectly centered with dagger corners and a perfect '10' autograph. A very important and popular commodity which demands attention. One of nearly 15,000 cards, lots, and sets up for bid in our 4th Auction of 2019. Click on the link above to view the other PWCC auction lots. The PWCC Vault is now live! Open a PWCC Vault account and receive a custom Vault shipping address. Purchases shipped to the Vault receive free shipping and reflect Oregon's 0% sales tax rate.